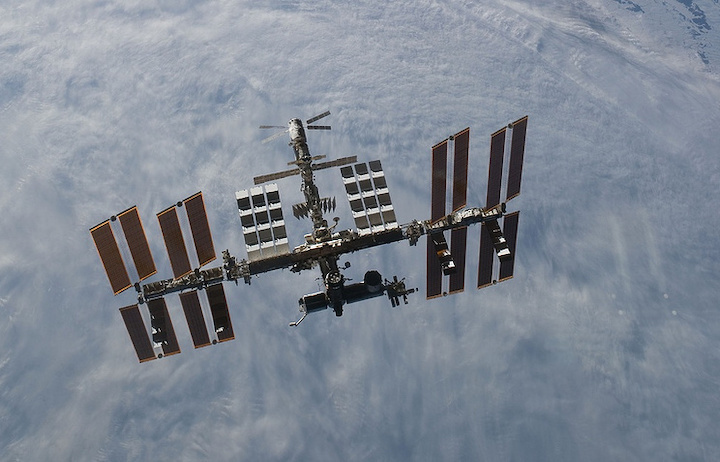 Russian cosmonaut Oleg Kononenko who arrived at the International Space Station (ISS) on December 3 has started an experiment to print living tissues on the 3D-bioprinter delivered to the orbital outpost by the new crew, Russia’s State Space Corporation Roscosmos reported on Thursday. "As of now, the first results of the experiment have already been obtained: the organic construct of the mouse’s thyroid gland has been created in the zero-gravity conditions," the Roscosmos press office said. Three ISS members - Russian cosmonaut Sergei Prokopyev, US astronaut Serena Aunon-Chancellor and German astronaut Alexander Gerst (the European Space Agency) are due to return to Earth after their long expedition on December 20. They will bring to Earth the tissues and samples obtained during the experiment for their subsequent study. In early 2019, the results of the data obtained will be made public, Roscosmos said. The magnetic 3D-bioprinter project, which is being implemented by 3D Bioprinting Solutions, Roscosmos and Invitro, was launched in 2016. Under the project, the bioprinter has been created to print living tissues and organic constructs in the zero-gravity conditions.